An organization that provides quality and comprehensive services through diagnostic testing, evaluation, counseling, and supportive services to individuals and families at risk for Sickle Cell Anemia. A non-profit, volunteer-run support group for those affected by biotinidase deficiency. An organization that seeks to advance quality health care through support, advocacy, education, and research related to Congenital Adrenal Hyperplasia. 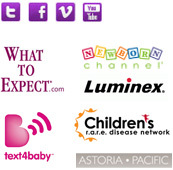 A non-profit organization dedicated to helping people with Phenylketonuria (PKU) and other metabolic disorders. An international network of healthcare professionals, researchers, and consumers dedicated to the betterment of treatment for Cystic Fibrosis and other genetic disorders. A non-profit foundation dedicated to finding a cure for Cystic Fibrosis and to improving the quality of life of those with the disease. Tips and support for families with children who have special needs. A volunteer support group that serves as a forum for the sharing of ideas related to Fatty-Acid Oxidation Disorders (FOD). An international, voluntary, non-profit organization dedicated to the early detection and treatment of Glutaric Acidemia Type 1 (GA1) and other neurological and metabolic disorders. Since 1980, the Immune Deficiency Foundation (IDF) has provided accurate and timely information for the nearly quarter-million Americans who have been diagnosed with a primary immunodeficiency disease. Today, thousands of individuals and families affected by primary immunodeficiency diseases depend on IDF for advocacy, education, and empowerment. A non-profit organization dedicated to the families affected by MSUD. A collaboration of PKU community members joining together to support local efforts to raise PKU awareness and to drive advocacy and education, while ultimately looking for a cure. A non-profit organization dedicated to the identification, treatment and cure of urea cycle disorders. NUCDF is a nationally-recognized resource of information and education for families and healthcare professionals. A network of parents with children with Nonketotic Hyperglycinemia (NKH), a rare and still-incurable metabolic disorder. A volunteer non-profit organization whose mission is to empower families and health care professionals with knowledge in organic acidemia metabolic disorders. A national, non-profit, volunteer organization whose mission is to provide information, support, and networking opportunities to families affected by galactosemia. The Propionic Acidemia Foundation is a non-profit organization dedicated to finding improved treatments and a cure for Propionic Acidemia by funding research and providing information and support to families and medical professionals. A not-for-profit, voluntary agency that provides information and support to families affected by Sudden Infant Death Syndrome (SIDS). Private, not-for-profit network that connects people to programs, services and information relating to Sudden Infant Death Syndrome (SIDS) in Missouri and surrounding counties. United Mitochondrial Disease Foundation’s mission is to promote research and education for the diagnosis, treatment, and cure of mitochondrial disorders and to provide support to affected individuals and families. SCID, Angels for Life Foundation is a non-profit voluntary foundation that provides information and support to families affected by Severe Combined Immune Deficiency (SCID). 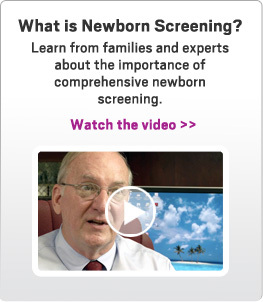 We are dedicated to helping implement newborn screening for SCID in all 50 states so no more babies have to die from this treatable disease.